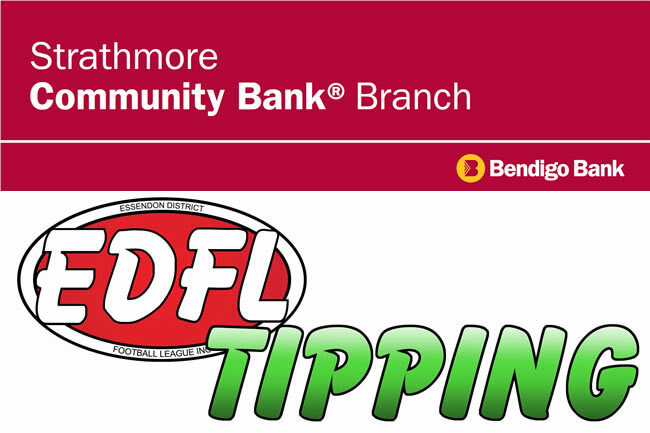 Welcome to the Essendon District Football League Tipping Competition sponsored by Strathmore Community Bank. On offer is lots of fun trying as you try to tip the winners of selected EDFL Senior Men's and Women's Games; with the opportunity to win some great prizes. Weekly winners will receive two movie tickets. *If any winner is an official member of an EDFL Club the club will receive $100 and you will also receive an extra $100 into the account with Strathmore Community Bank. To get started just click on the Register link above and join in the fun. At the end of the season tippers who finish first, second and third will receive an invite for themselves and a guest to the EDFL Premier Division Grand Final luncheon. Prizes to all place getters will be distributed on the day. Click here to Enter your Tips. Or click on any of the links above to get started. You can use your smart phone to access our competition. Either type the competition address into your smart phone browser (https://www.etipping.com.au/edfl) or scan the QR code below.